A UK energy solution, which heats your hot water with everything from nappies to plastics, Pringles container and coffee cups to food, has gone out to trial. Hailed by the BBC as potentially ‘The Next Dyson’, the HERU takes household items, which would have been destined for disposal, and heats them within the HERU in the absence of oxygen (allowing pyrolysis to occur). The resource becomes char, releasing oil and gas, which are captured. The HERU cleans the oil, so it is safe to discharge and it utilises the gas and heat that’s been produced together with a domestic boiler. A single cycle of the HERU can produce a 30°C temperature rise for around 70 to 120 litres of water a day, which is equivalent to a full bath. The trial at Wychavon has now commenced, to be followed by units at Hillers Farm Shop and Rugby Borough Council. Lasting approximately ten months, the units will be monitored remotely in real time, in order to assess progress around energy efficiency, usability and qualification criteria for the Renewable Heat Incentive for cardboard, paper, food and garden trimmings. As well as being an innovative greentech solution, the HERU can also help users save up to 15% on fuel bills, assisting in the fight against fuel poverty for those most in need. Not just for use in homes, the HERU team are also looking at how the machine tackles commercial input too. What about organic matter, such as left-over food? 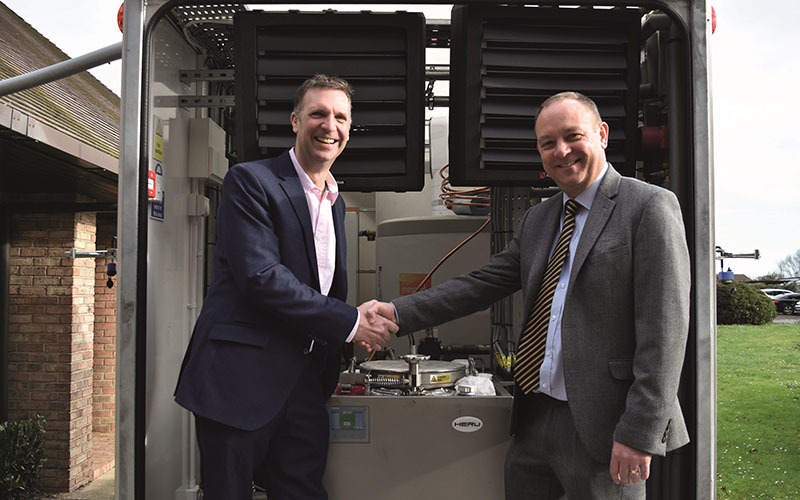 The HERU can recycle that into energy and are working with Warwickshire-based Hillers Farm Shop, to ensure the HERU works well in this commercial environment. Emma Taylor, from Hillers, added: “We are delighted to be involved with trialing the HERU at our restaurant. As with any restaurant, we have food and packaging that often becomes waste, which is something we are continually trying to reduce. Having the HERU on site will massively prevent this resource from becoming waste in the first place. Is renewable energy technology the only way forward?